The backwaters of Consumers Energy’s AuSable River Foote Dam form this 1,800-acre pond. Located on River Road about 5 miles west of Oscoda, Foote Site Park pulsates with bird life. 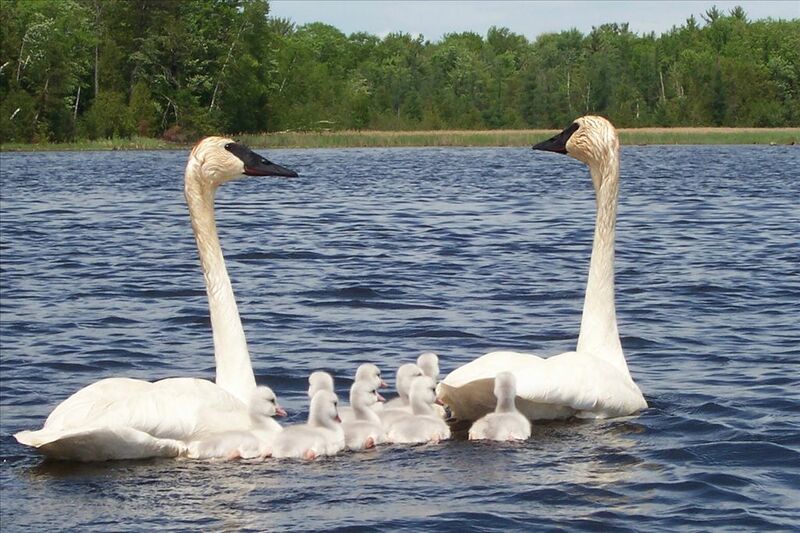 Trumpeter Swans nest off shore. There are great photo opportunities for filming these and many other aquatic avians. Caspian Terns, Belted Kingfishes, Bald Eagles, Grebes, Blue Herons, Common Loons, and numerous duck species inhabit the pond during the spring and summer breeding seasons Red-headed woodpeckers frequent the wooded picnic grounds. Several boat launches allow the adventurous bird watcher access to the water for a gentle cruise on the AuSable via kayak, canoe, or boat. The Foote Tailwater Site is on the far side of the dam off Rea Rd. This attracts Bald Eagles, Turkey Vultures, Common Ravens and many river and woodland species.